I had thought that that film version was never shown in the US, but IMDb tells me that it did have some kind of US release; I certainly read about it only in British magazines. It does seem to have been a UK production, with a Brit director, the Irish Mr. O'Shea as Mr. Zero, and supporting cast like Billie Whitelaw and Julian Glover. But my favorite bit of casting is the Mrs. Zero: Phyllis Diller! I find it so interesting that Elmer Rice wrote both the classic American example of naturalistic theater (Street Scene) and of expressionistic theater (The Adding Machine). Those are practically opposite poles. 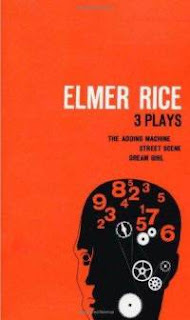 There aren't a huge number of US examples of the genre in any case: Adding Machine, some early O'Neill, Machinal, Roger Bloomer, and just a few others as far as I know. I would've sworn that THE ADDING MACHINE was a reaction to METROPOLIS, but THE ADDING MACHINE came first. 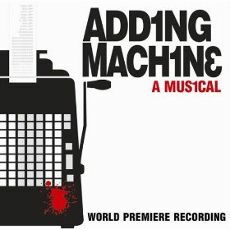 I agree on the odd match of STREET SCENE and THE ADDING MACHINE from the same playwright. When I saw the movie of STREET SCENE, it was my first glimpse of Hell's Kitchen. At least I think it's Hell's Kitchen, as opposed to the Lower East Side of DEAD END, a movie I always confused with STREET SCENE. Neither one has been on TV anytime in the recent past as far as I know. If movie of THE ADDING MACHINE (with Phyllis Diller -- good grief!) has ever been on telly, I missed it. I saw the play itself a long time ago, also at U of I, but well before STAIRS TO THE ROOF in my memory. But now that I ponder it, I think I may be thinking of Sophie Treadwell's MACHINAL. Same basic idea, what with killing the boss and living the life of a cog in the machine, but it's a female instead of a male. I definitely saw MACHINAL at U of I. Did I see THE ADDING MACHINE, too? I don't know!